We are looking to see who may be interested in a coming investigation. 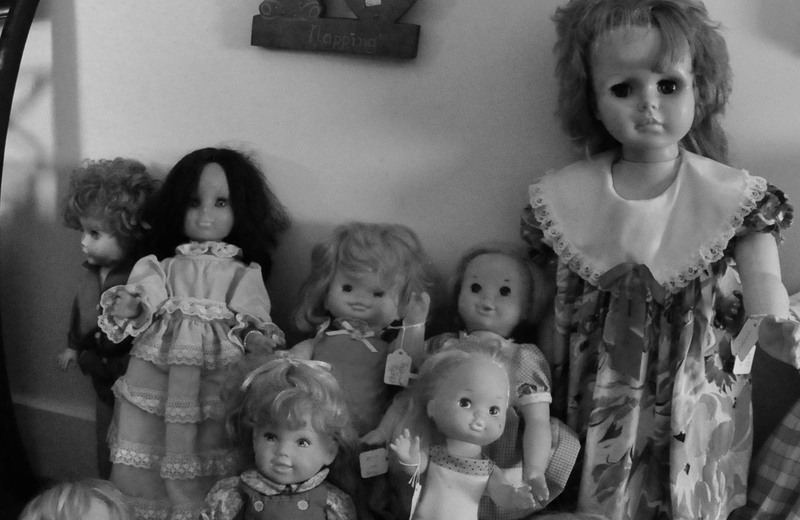 In early September we will be hosting a 5 hour ghost hunt in a life-size, haunted doll house in Littleton, NC. This is a farm house filled with hundreds of dolls; even the kitchen and the bathrooms are covered in dolls. No matter where you go in this house, hundreds of little faces stare at you. No one has ever investigated this before, this will be the first paranormal investigation of this house. Please let us know if you are interested in joining us for the investigation. The price is $85 per person, with group rates available. The date is still up in the air so please let us know if you are interested in a particular day and we will work with the owner to try an accommodate your request. This entry was posted in Ghost Hunts, Ghost Tours and tagged dolls, ghost hunt, haunted doll, North Carolina, paranomal investigation by Holly. Bookmark the permalink. This will be in Littleton, North Carolina it is near the Virginia border.